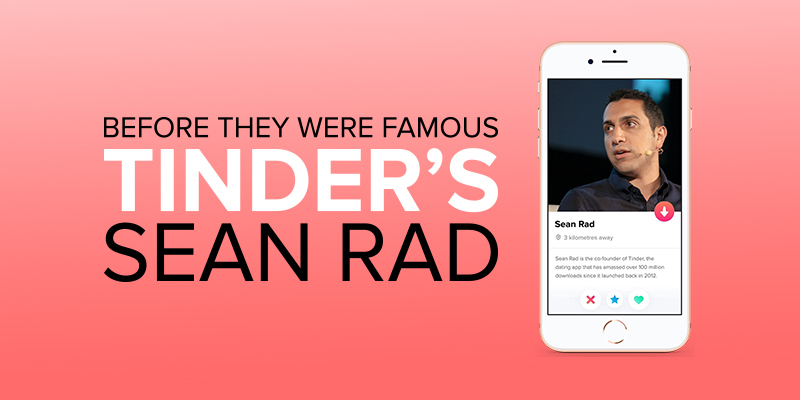 In this article, we’ll walk through the story of Sean Rad, the founder of the ubiquitous dating app – Tinder. Tinder didn’t invent the concept of swiping left and swiping right – gestures are an integral part of smartphone UI. But what Tinder did do was to use it so effectively that it has become a cultural phenomenon, referenced throughout pop culture, and emulated by innumerable other apps. […] the Tinder swipe (is) a UI pattern, more than anything else. It’s just a great way to process information quickly. 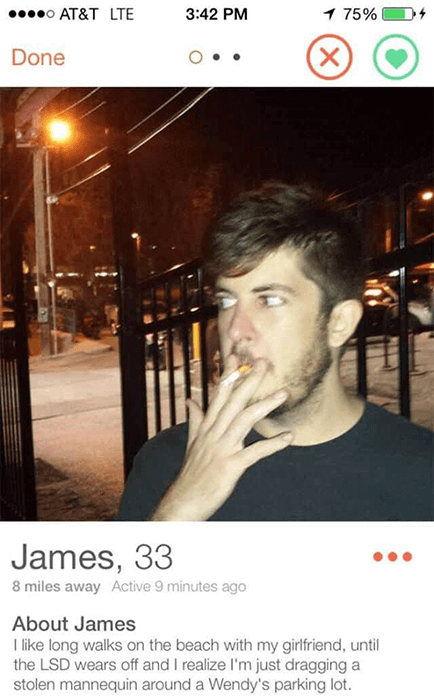 By swiping left or right you are indicating whether or not you like something (or in Tinder’s case, someone), without having to select yes, no, like, dislike, or any other arbitrary action. But achieving success for Tinder co-founder, Sean Rad, hasn’t been as simple as swiping left or right. Sean Rad was born in the mid-80s to Iranian parents who had emigrated to the US in the 70s. His childhood was spent as part of a tight-knit Persian community in Beverly Hills, and while his parents had great success working in the consumer electronics industry, Rad wasn’t initially that interested in tech and electronics. I figured I could amass a lot of wealth by doing things I love – then I can control my own fate as an artist. Something else that helped push him in a new direction was the cellphone his parents gave him when he was 13-years old. It was supposedly meant to cheer him up, since the acne he suffered from as a teen left him feeling awkward. But of course, it also got him interested in mobile technology in the pre-smartphone era: the iPhone wouldn’t be launched until Rad was in his twenties. Sean Rad started his first tech company just as he was starting college, Orgoo, which was meant to be a unified communications platform, utilising the mobile technology of the early 2000s. It was while studying business at USC that Rad also became friends with one of Tinder’s co-founders, Justin Mateen. Rad’s first tech venture, Orgoo, wasn’t a success, but in 2006 he started Adly, a platform that facilitated celebrity social media branding. Mateen had also started his own social network for celebrities, but while Mateen remained in college, Rad dropped out to pursue his entrepreneurial projects. […] in my family, there was a need to make something of our lives. Not doing something big with your life was just not accepted. Adly proved to be much more successful than Orgoo, and Rad continued running the company for a few years, but eventually tired of playing matchmaker to celebrities and brands. In 2012 Rad sold his stake in Adly, and joined Hatch Labs, a New York based incubator for mobile apps, that happened to also have an outpost in Los Angeles. At Hatch Labs, Rad was in charge of Cardify, a retail card loyalty app, but privately he and Mateen were discussing ideas for a flirting app based on mutual liking, a hot-or-not for mobile. When Hatch held a hackathon soon after Rad joined, it was an opportunity to pursue this idea, and together with Joe Munoz – an engineer at Hatch who would go on to become the third co-founder of Tinder – they built a prototype dubbed Matchbox. Matchbox won the hackathon, and soon the Cardify team was switched to developing the concept further. 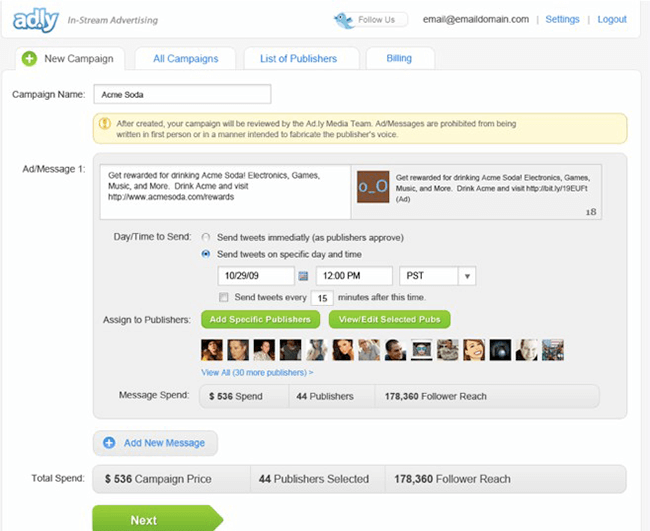 Three weeks, and $50,000 later, they had a more polished product ready for a public launch. Hatch Labs was partially funded by IAC, who already owned the popular dating site Match.com, so the app had been rebranded as Tinder – a play on the original Matchbox name. Mateen was familiar with how college fraternities and sororities worked, and marketed Tinder by introducing it to influencers at elite schools. Within two months Tinder had made more than a million matches, and its popularity was spreading like – well, wildfire. By early 2013 Tinder had 400,000 users, and soon after, a billion matches. Even though the swiping motion was only introduced later, part of Tinder’s early popularity was the result of gamifying the process of meeting new people, and by May 2013 Tinder was already one of the top 25 social networking apps on the market. It would also go on to win the TechCrunch Crunchie Award for “Best New Startup of 2013”. Since then Tinder has, like any successful app, continued to add or enhance features, while retiring some that don’t gain any traction. The core service remains free, but Tinder introduced various in-app purchases in 2015. The introduction of Tinder Plus was not without controversy, not only because it limited the number of matches a user could make in a 12-hour period – without paying – but also because the monthly subscription price was higher for users over the age of 28. The nature of the app has meant that Tinder has always courted controversy, from claims of sexualising dating, to claims of links between Tinder and increased infidelity. But the one with the most repercussions started in June 2014 when co-founder and former VP of marketing, Whitney Wolfe, filed sexual harassment charges against the parent company of Tinder. Her claim related to interactions between her and her former boyfriend Justin Mateen, who at that stage was Tinder’s CMO. Wolfe accepted a settlement of just over $1 million, Mateen resigned from Tinder, and Rad stepped down as CEO. Rad returned to his position as CEO later in 2015, only to step down again at the end of 2016, but not as a result of any controversy. He remains the chairman of Tinder, but now heads up Swipe Ventures, which is focused on identifying companies that can add value to Tinder, and help it grow. Wolfe would go on to create Bumble, a social and dating app that focuses on women making the first connection, which is now embroiled in another legal tangle with Match. What we have seen many times is that the most successful apps often come about as a result of disrupting other industries. But Tinder is a little different in that it hasn’t disrupted online dating, and instead has found a way to tap into a market that wasn’t being served by traditional dating services. Tinder coexists with other online dating services that fall under the Match brand, along with countless other online dating services and apps. It is used daily by millions of people looking for a match, whether it is for something serious, something casual, or something closer to what Rad and Mateen originally imagined. Successful mobiles apps don’t actually need to disrupt, they don’t always need to change how we do certain things. Sometimes all they need to do is find a niche or sector that is underserved by an existing business model, shifting away from a disruptive and predatory relationship to a symbiotic one that serves a much larger market.